Actor friends, regardless of whether or not you are currently represented by a great talent agent, you can (and should!) always seek auditions on your own. While certain casting notices are only available to agents and managers, there are still many places to look to find out what is currently being cast so that you can submit for projects. But you must carefully seek out legitimate sources of obtaining auditions. Building upon our article about obtaining auditions without the help of a talent agent, here is a list of where you can look to see projects which are currently casting and where you are able to self-submit for projects. Searching online for auditions is a great place to find opportunities for acting work and to self-submit for projects. There are lots of websites which will allow you to search for auditions, and it is important to be certain that the websites that you choose to utilize are legitimate. Check out the following suggestions. Casting Networks is another helpful online source of obtaining auditions. Talent agents as well as actors are able to utilize this casting site in order to submit for projects. An actor can self-submit to various projects, again for a fee. Casting Networks is a global organization which allows actors to self-submit for auditions in Los Angeles, San Francisco, Australia, The United Kingdom, France, Latin America, India, and soon Russia. Casting Frontier is yet another trusted online platform that allows actors to self-submit for projects casting in the United States and in Toronto, Canada. This service also requires a fee to submit a headshot and resume to a casting director. While the three online resources mentioned on the previous page are very helpful and convenient, searching for auditions in printed publications is also a good idea. Backstage magazine can be of tremendous help in locating and submitting to auditions. Backstage is published weekly, and it has been a trusted, helpful publication for actors for many years. You can find audition notices in the in-print version of Backstage, and you also have the option to look on the Backstage.com website, too! Additionally, Backstage publishes a book called The Call Sheet and it lists contact information for many casting directors. Reading Backstage is also very helpful in learning about news and what is coming up in the near future in our industry. Many actors attend casting director workshops in order to meet and perform for a casting director. Should you choose to pay to attend a casting director workshop, this can be a great way to meet casting directors, and possibly be called in for auditions. 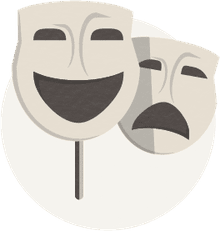 Even though it is certainly not guaranteed that you will obtain auditions because of attending a casting director workshop, the workshops can be very informative about the projects that a casting office are currently working on. One of the best ways to find out about what is casting and how to submit to a project is to be well-connected in the entertainment industry with friends and contacts whom you trust. Do as much networking as you can. Talk to and learn from everyone possible, and find out about what is currently casting, how to submit, and to whom to submit your materials. You should definitely be utilizing new media/social media in order to help further your acting career. You can obtain auditions, find out about castings, make industry connections, obtain agents, meet new friends, and book jobs with social media and social networking. New media is changing the entertainment industry and creating new opportunities for performers everywhere. Gone are the days that actors need to depend on agents to submit them for projects in order to work as an actor. (In fact, the only person that you ever need to truly depend on is yourself!) We actors and artists can create our own careers and call our own shots. This certainly does not mean that agents and managers are not helpful — they certainly are — and as mentioned at the beginning of this article, there are still certain auditions which only talent representatives have access to. However, you have a lot of power in your hands. If you build a strong presence in new media, it can open doors in your career in entertainment that you might not even know exist. Friends, there are numerous websites, publications, and resources where you may find information about auditions. The ones listed in this article are meant to be used as a guide in order to help you. Until you choose to hire an agent or a manager to help you, you can achieve a tremendous amount on your own. Good luck! Actor Spencer Morgan Discusses the Benefits of Interning at a Casting Office!